Tell me a nail paint lover who doesn't love red nails. I believe that a nail polish collection is incomplete without a classic red nail paint. (I own three reds). A red manicure exudes sexiness and boldness. It is such a festive colour too, and utterly feminine. 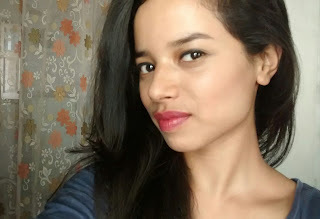 Here i am reviewing this one called Power of Red from the Maybelline Bright Sparks range. Final comment- Its a gorgeous nail color and for beginners who dont experiment with such colors, trust me it looks flattering on all complexions. You can also find this color in other brands. But this one from Maybelline does not dissapoint at all. A must have shade. Hi everyone! A few days back while I was alone at home and had nothing much to do I created this simple day look. I took some pictures just to see how they would turn out when I clicked them in a particular lighting and was very pleased with the results . Eventually I decided to do a blog post on it. 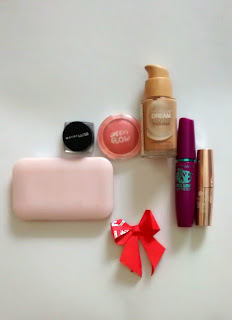 It's not a tutorial but just a mention of the products used and a bunch of pictures that I snapped. So here they are. 6. Lotus Herbals Palette - Choco Fudge (not pictured) darkest shade to fill eyebrows and lightest shade for little contouring. If you like it please leave a comment. I would love to read them. Hello everyone! I have been MIA for a really long time now. I'll try to be more regular and blog at least 2-3 times a week from now on. Okay so let's talk about today's review. What skin essential comes to mind as soon as we think summers. You guessed it, its a sunscreen. 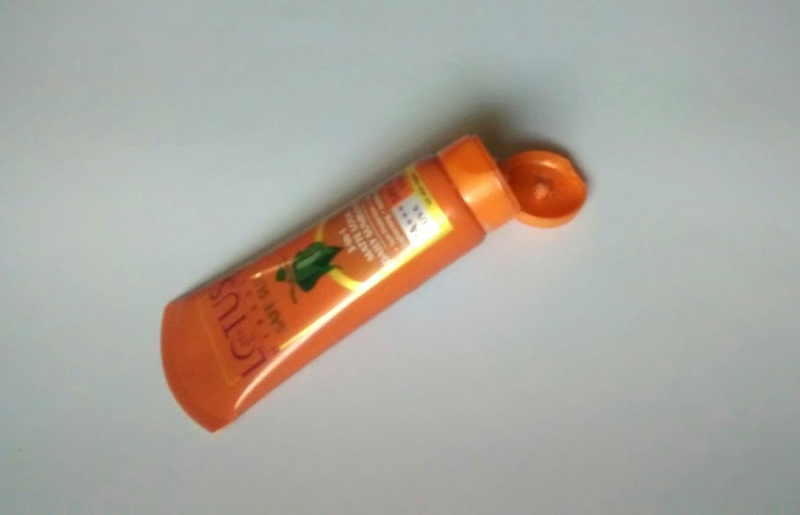 The need for a good sunscreen in this unforgiving weather cannot be over emphasised. So here I'm reviewing one that is an oldie but I have only recently discovered it. 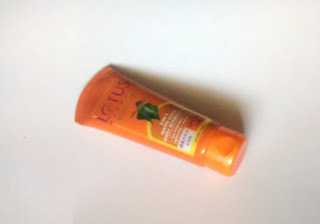 Its the Lotus Herbals Safe Sun 3-in 1 Matte Look Daily Sunblock. 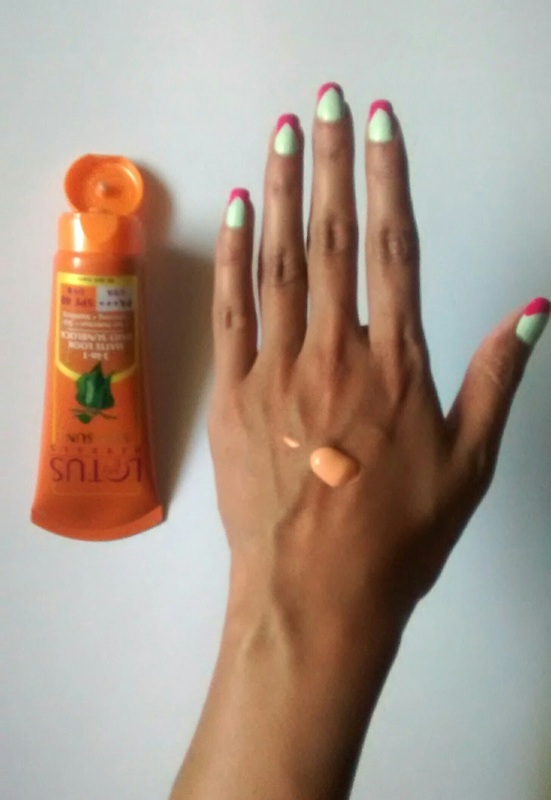 Description: 3-in-1 daily sun block is a revolutionary sun protection formulation which combines broad-spectrum UVA and UVB protection with skin lightening ingredients to give a uniform matte finish to the skin. Its fast absorption and non-greasy formula ensures a shine-free, light and clean feel. My thoughts: This product as you can see comes in tube packaging with a flip top cap. It has a mild pleasant fragrance and slightly runny consistency. Its a tinted Sunblock which is an added benefit since you cannot wear foundations or bb creams in this hot weather. Now coming to how it works on the skin, I apply it just as I would apply my BB creams. I dot it all over the face then blend it thoroughly all over my face and neck. 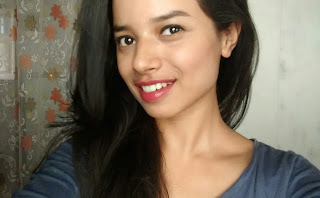 After a couple of minutes post application it sets into a matte finish and gives a smoother look to the face. It provides sheer coverage and that is exactly what I prefer during the day in summers. It can be used directly on the face. It controls oil for around 2-3hours. After that you may want to reapply it like any other sunscreen. I have dry skin even during summers so I put on a light moisturiser before applying this because using it directly on face gives me a stretchy feeling. You may skip this step as per your preference. It provides bothUVA/UVB protection. It is an SPF 40 sunblock but still feels like second skin and does not feel heavy at all. It does not give a white cast. Also it is budget friendly. Final words- It is a very impressive product and I have come to like it a lot. 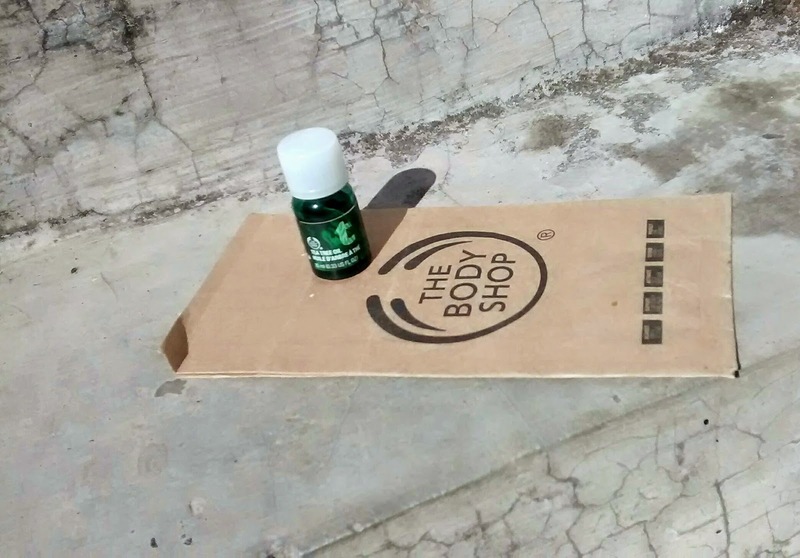 I'd recommend it to everyone who's on the lookout for a budget sunblock. All I need these days is this Sunblock, a light dusting of face powder and a lip balm to look fresh. 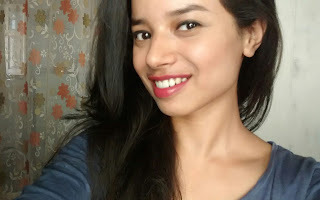 Styling our hair before stepping out of the house comes as naturally as breathing to us girls.I don't style my voluminous hair much because it is quite a task and i have only two hands. But i cannot go without using a straightening iron to at least tame my frizzy locks even when I'm just tying my hair in a ponytail. 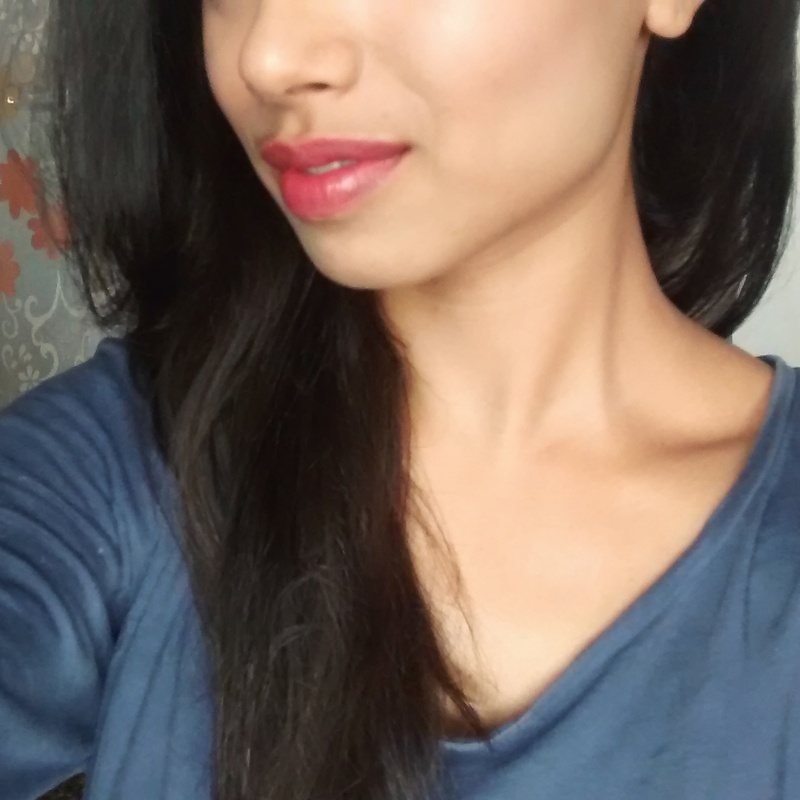 I have extremely bushy frizzy hair and they shoot up like tiny antennas going in all different directions, so using a straightening tool becomes indispensable, at least for the hair at the crown. Keeping in mind the nature of my hair when I first got myself straightening iron I also bought along with it a heat protectant spray. And the one I chose was this one from Schwarzkopf. The formula with heat-protect system protects your hair effectively,provides moisture and cares without overweighing, smoothens hair and reduces frizz. Heat protection up to 220°C. My verdict: This serum is water like and does not have a characteristic smell. It can be used on both wet and dry hair. It gives heat protection to upto 220oC. It does not add shine nor does it smoothen your hair and it does not repair hair as claimed by the brand. This serum only provides good heat protection, you'll find your hair in the same condition when you wash off the blow dried or heat treated hair. I did not end up with more rough hair than I already had before using it. It does its job excellently and the quantity is good for the price. One bottle lasts several months. 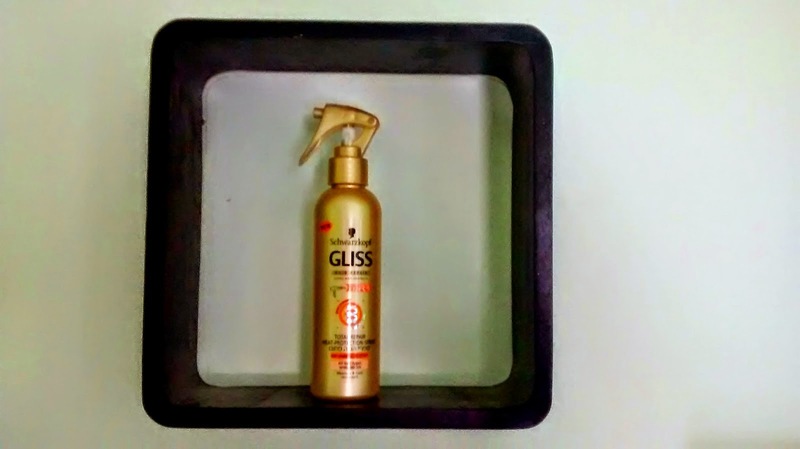 Its a great budget heat protectant for your hair and I would recommend it. I believe hair must not be styled without using a good heat protectant, for once damaged it becomes extremely difficult to manage hair and you cannot wait for it to get better without harming it further. Heya folks! How has 2015 been treating you? Well, for me a lot has been going on but don't worry I won't bore you with it here. I have something else for you, guess what?? A review of course. :D (okay, that wasn't funny, I know, just trying to be a little interactive here.) Today I'm reviewing Streewear Color Rich Nail Paint in the shade Fairytale Romance. Details: Street wear revamped their color rich line this year and came up with a stylish range of cosmetics. The new range consists of lipsticks, lip glosses, nail enamels, foundation, compact, eye liner and kohl. This new collection comes in an intriguing pop art packaging, very chic and very girly. Nail enamels include a vast array of trendy shades, glamorous browns and mauve, stylish pops, pretty pinks, and playful reds. These are priced at Rs 60 for 5 ml. My verdict: The new Streetwear Color Rich range was a great budget discovery for me last year. I so love their nail colors. This shade called Fairytale Romance is one of my favorites. 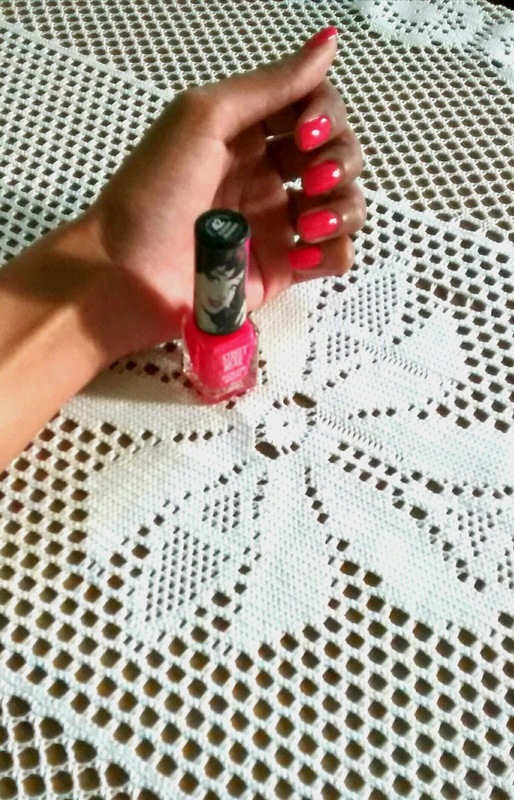 It is a neon pink shade that is utterly stylish and instantly perks up the hands. 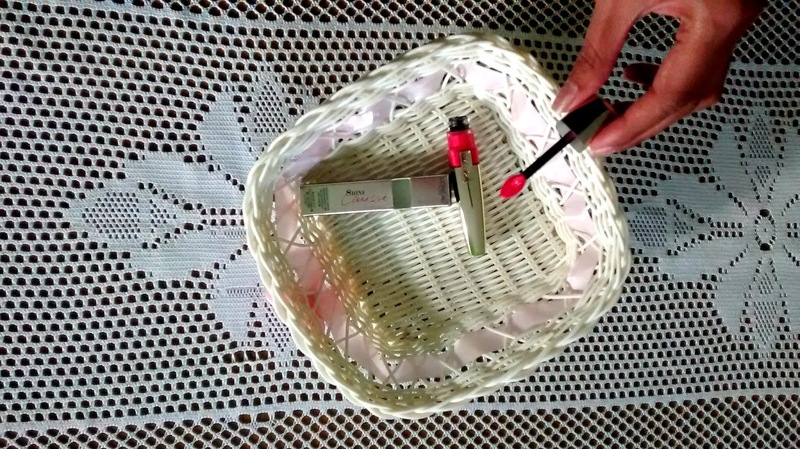 It comes in a tiny bottle with a thin good quality brush which isn't too hard to work with. The formula is not sheer but not too creamy either, it is just okay. Two coats build up the actual color which easily lasts 3 days, and it does not chip. All Indian skin tones will find it flattering on their hands. A very trendy shade, Fairytale Romance is a must have at just Rs 60 with no compromise on quality. Hello everyone! Today I'm reviewing a product that has proved to be a magical potion for my acne problem. 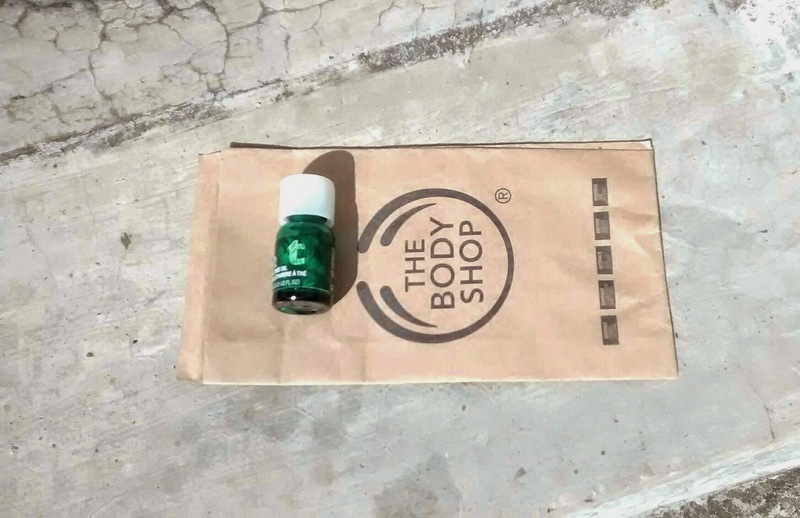 It is The Body Shop Tea Tree Oil, read on to find out how it worked for me. Details: Targeted care for blemished skin. Can be used direct on skun or for facial steaming. My verdict: I got myself this oil back in the summers when I was experiencing some breakout problems. I had heard that tea tree oil is believed to have medicinal properties for soothing skin problems, acne problems majorly. After some online hunt I zeroed in on this one from TBS. Coming to the product, it comes in a dark green colored glass bottle with a twist open white cap. It is a transparent water like liquid with a strong smell. It has to be applied directly on the problem area with a cotton swab or finger tips on the very first sign of breakout. Only a drop or two is needed for one use and it can be applied two-three times a day. I could see the difference in the first couple of uses itself. I applied it on the areas of my face where the zits had started showing up. It did not let the zits develop further and dries them completely. It also stings a little on application but that is not a problem. Also it might not help on fully developed pimples but it does lighten the marks that they leave behind. Coming to the bad and not so impressive features now, the first is the quantity for the price, it is exorbitantly priced for a mere 10 ml. I don't think I'm buying it any soon again. Also it gets really hard to get the last bit of oil out of the bottle because of the stupid nozzle. Finally what I'd say is, this oil does help in soothing and drying out pimples and acne effectively. If price is not a problem you should definitely go for it. Hello everyone! Here's a list of a few products that I'll be reviewing very soon. The products shown here are my personal favorites and have worked wonders for me. These posts will be up on the blog in a few days.